Mr. Howard Childers, age 80, entered into rest on Tuesday, January 22, 2019. Funeral Services will be 3:00 PM Saturday, January 26, 2019 at Forest Pine Church by Rev. Dave Bradshaw, Rev. Ricky Malloy, Rev. Eddie Brock, and Rev. Danny Malloy with burial to follow in the church cemetery. The family will receive friends from 6:00 – 8:00 PM Friday, January 25, 2019 at Miller-Rivers-Caulder Funeral Home. 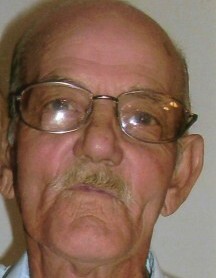 Mr. Childers was born May 27, 1938 in Bennettsville, SC a son of the late Charlie Tillman and Rodie Lyons Childers. He was a retired employee of Cheraw Yarn Mills with 32 years of service. Howard was a member and trustee of Forest Pine Church and enjoyed attending Prince of Peace Church and Calvary Baptist Church with his family. He was a God - fearing man who always enjoyed talking about the Lord and was a true people person. A loving father, grandfather, and great grandfather, Howard enjoyed spending time with his family. In his spare time, Mr. Childers enjoyed “tinkering” on small engines, and was always willing to help anyone. He also was an avid Atlanta Braves fan and enjoyed watching wrestling and westerns. In addition to his parents, Howard was also preceded in death by his sister, Anne Tipton. Survivors include his sons, Timmy (Tonya) Childers, and Kenny Childers; daughters, Gail (James) Wallace, and Debbie (John) Bittle all of Cheraw, SC; grandchildren, Erica Rogers, Chad Childers, Anna (James) Brown, Justin Baker, Ryan Baker, Coty (Christin) Childers, Kristopher Childers, and Hunter Childers; great grandchildren, Janaysha, Dalton, Tanner, Jase, Braxton, and Jaxon; brother, Charlie (Annie) Childers; and brother-in-law, Paul Tipton. Miller-Rivers-Caulder Funeral Home of Chesterfield, SC (www.mrcfuneralhome.com) is serving the Childers family.